There are a lot of great books out there about whiskey (including Lew Bryson’s Tasting Whiskey, Dave Broom’s World Atlas of Whisky, and Ian Buxton’s 101 Whiskies to Try Before You Die). 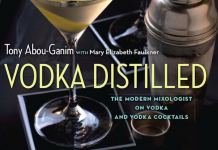 There are, however, very few cocktail books that are focused solely on whiskey cocktails. This is one of many reasons Warren Bobrow’s Whiskey Cocktails book is so special. Bobrow is known as the Cocktail Whisperer, and his debut book Apothecary Cocktails was nothing short of spectacular. 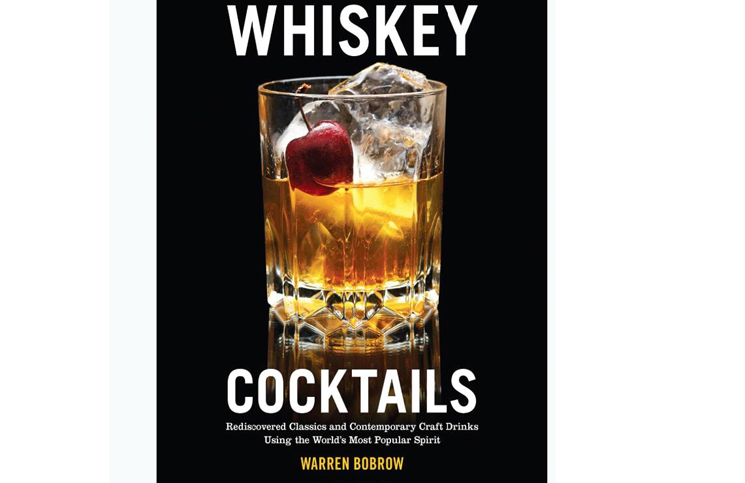 For his second book, Bobrow has stuck with the same winning formula as his first book; spiral bound, Whiskey Cocktails features 75 cocktail recipes including a mix of classic, modern, and original cocktails. While there is a brief introduction at the start of the book to the history and classifications for whiskey, a majority of Whiskey Cocktails is focused on the cocktails. As with Apothecary Cocktails, each cocktail recipe is clearly laid out, listed in both metric (ml) and imperial (oz). Warren’s introductions to each drink are light hearted and generally focus more on the culinary experience than anything else. Even the descriptions for the classic cocktails focus more on the drink than the drink’s history. The book is well laid out by style of whiskey, including a section at the end entitled “Cooking With Whiskey”. Bobrow worked as a chef prior to becoming the cocktail whisperer, and so his Fernet Branca, Bourbon, and Carpano Antica Glazed Pork Shoulder and his Hearty Barley, Lentil, and Vegetable Stew shouldn’t be overlooked. There’s even a section for alternative grain and unique whiskeys like spelt, oat, and smoked malt, which are nice because these spirits rarely get any attention in cocktail books. While there are a handful of classic drinks, three are more riffs on classics than classics. A good example of this is the Slightly Askew Old-Fashioned which adds Fernet Branca, sage tea liqueur, and Mexican mole bitters to the mix. There are also a number of adapted rum drinks including Revenge of The Painkiller, Other Assorted Tales of Woe (a riff on the Dark and Stormy), and The Cocktail Whisperer’s Twisted Bushwackah. For the most part, there aren’t a ton of handmade syrups or oddball ingredients in many of the drinks. Where they are, Warren breaks down the recipe in the back of the book. Warren also hasn’t sold out the brand for any of his drinks, a practice that has become all too common these days. It’s a financially challenging route to go in the cocktail book space and we have tremendous respect for Warren for choosing the tougher path. 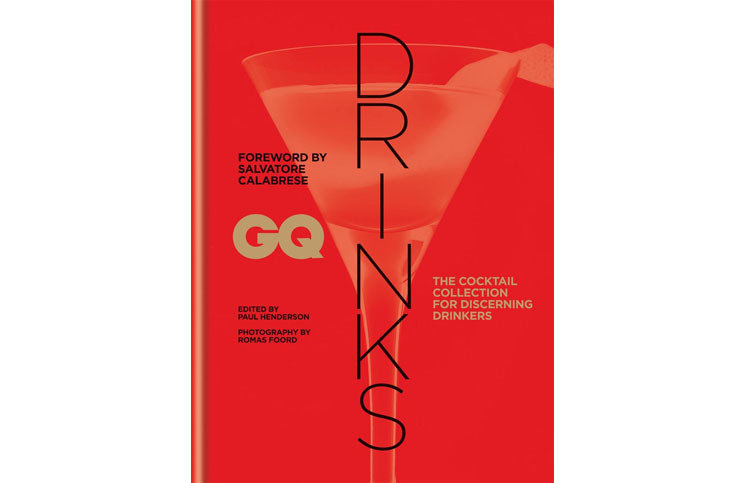 As with his first book, the photography is exceptionally well done by Glen Scott Photography, and they do a good job of capturing just how delicious the cocktails in this book are. Ultimately though, it’s all about the cocktails. Warren Bobrow IS the Cocktail Whisperer, and what that really means is his savant-like ability to bring flavors together in cocktails that really work. Some real standouts in the book include Where’s The Dog Star? (a combination of white whiskey, frozen hot chocolate, and root liqueur), the wonderfully simple Twenty-Cubic-Feet of Sail (which brings together rye, ginger liqueur, lemon juice, seltzer, and bitters), and Another Thor Cocktail (an Islay whisky riff on Tiki). One of the most useful “drinks” in the book is called the Sailor’s Dilemma, which is much better at fighting off a cold than a hot toddy (and quite delicious). 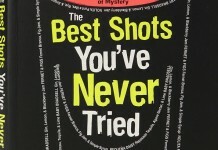 A good cocktail book is well laid out, with good photos, well written introductions, a lack of pretense, and great cocktails. Whiskey Cocktails hits all these points in a unique cocktail book that’s well worth adding to even the casual cocktail fan’s bookshelf. Whiskey Cocktails: Rediscovered Classics and Contemporary Craft Drinks Using the World’s Most Popular Spirit is available at Amazon for $17.